Susan was coming from work, so didn't bring her camera, so all these photos are courtesy of my sub-par skills. 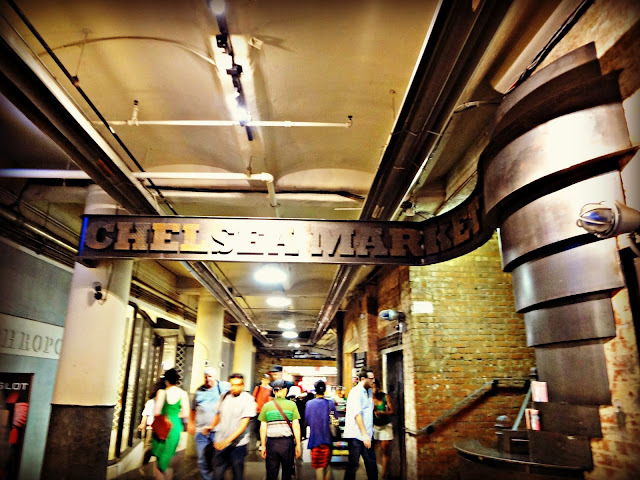 I have never been to the Chelsea Market, and Susan seems to be an expert on the place--so that is where we met up and spent most of our time! 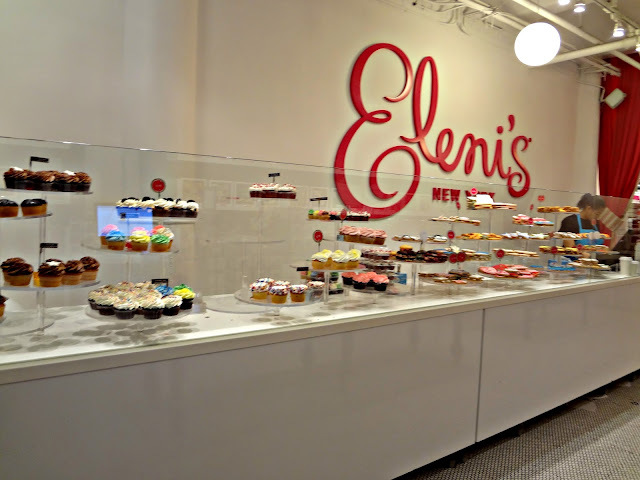 OMG--if you are ever in NY, visit! It has so many wondrous food-related things! I wanted to buy like...um...EVERYTHING. It took a lot of willpower (and the reminder that I'm broke) to resist. One of the first things we passed was this ADORABLE Eleni's! I resisted doing more than taking a photo. But look how pretty and tasty everything looks! We passed a great many tempting things, can't even remember all of them. We actually ventured through this one part of the market where there were like little mini areas. 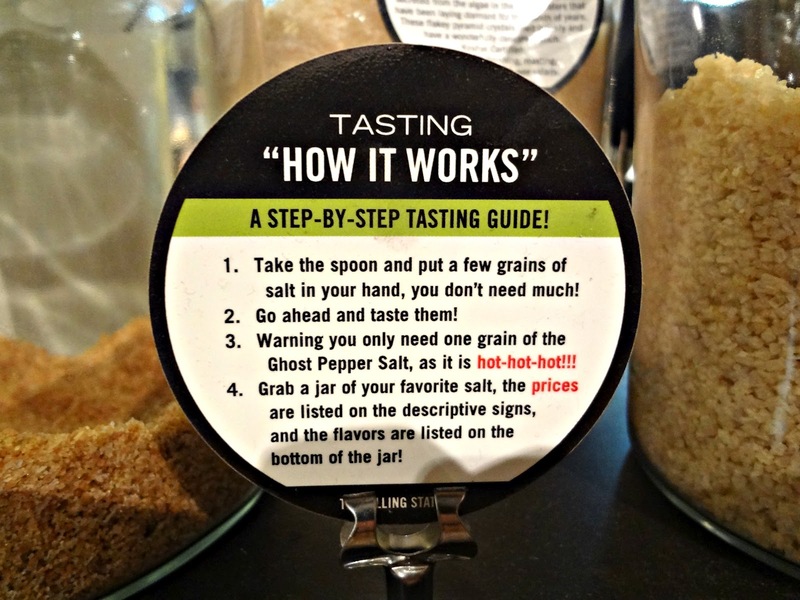 I loved the flavored salts area--you got to sample every kind you want! (I enjoy the instructions they give). My favorite was the Black Truffle Salt...no the salt that was a combo of cocoa,cinnamon&chili...noo wait it was the Vanilla Salt! Aghh I dunno too many yum yums! After this we visited The Nut Box--it was so cool! I'm definitely visiting there next time I need spices or specialty nuts (such as hazelnuts with the skins removed, which is what Susan buys there). Jacques Torres was our one for sure destination: Susan told me they had the best hot chocolate. I was skeptical, as I was pretty sure I'd already had the best hot chocolate in the world (Max Brenner's Italian Thick Hot Chocolate), but I was willing to see if there was something better! 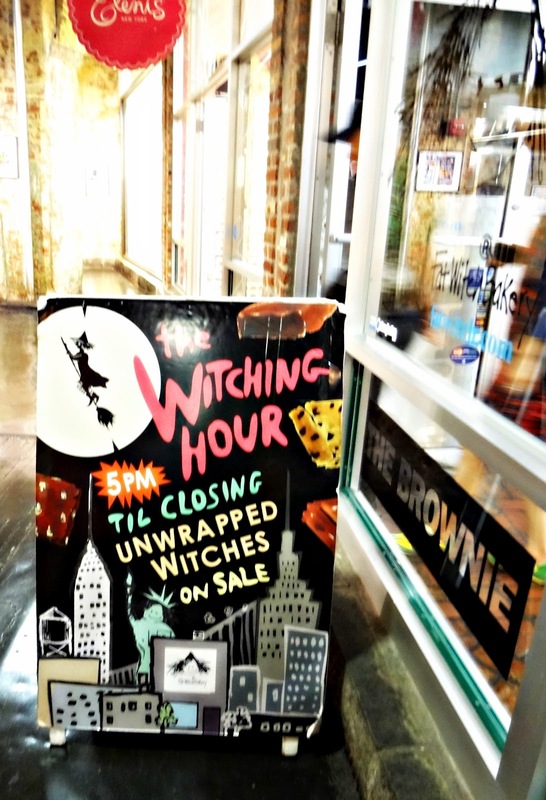 I've already had a Jacques Torres chocolate chip cookie (delicious), and was so excited (and resisted the amazing crepe place next door). The verdict: extremely good hot chocolate....but....Max Brenner's is still my fave (it's thicker and richer...like a liquid candy bar...mmmm). I'm still so happy I tried it! 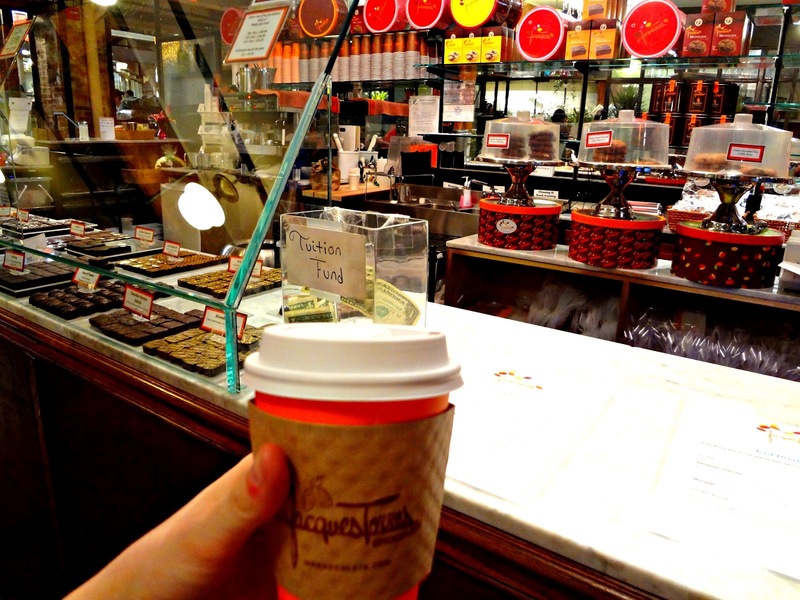 Even though it was hot and humid outside and I was drinking hot chocolate like a crazy person! After this we went to Bowery Kitchen Supply which just...was...heaven. I wanted to buy so many things. For the millionth time-I cannot wait until I get to do my bridal registry, lol. 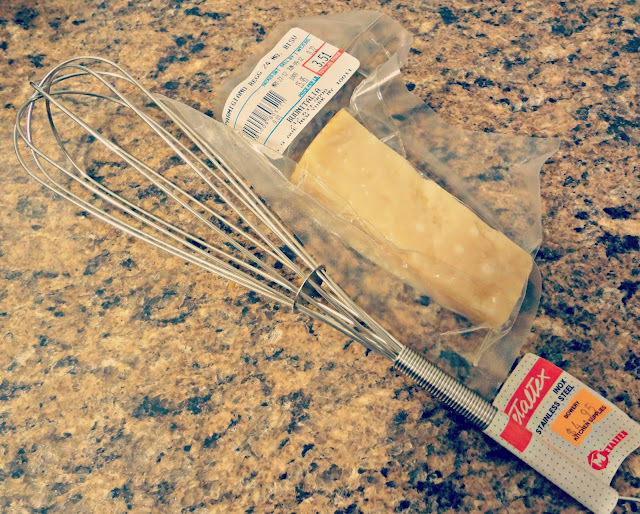 The only thing I'd let myself buy was a new whisk-I'd been looking for a new one for awhile. It was beautiful, and really really nice. The sun was setting and there was a slight breeze so it was just a very nice, relaxing end to our day. And here is what I bought. I'm probably way too excited about the new whisk and that little bit of Parmigiano-Reggiano. So jealous you girls got to meet! Sounds like a brilliant market too, I wish we can go to NYC already. I'm so jealous that you got to have a food blogger date! I probably shouldn't be let loose in Chelsea Market. How cute are you two? 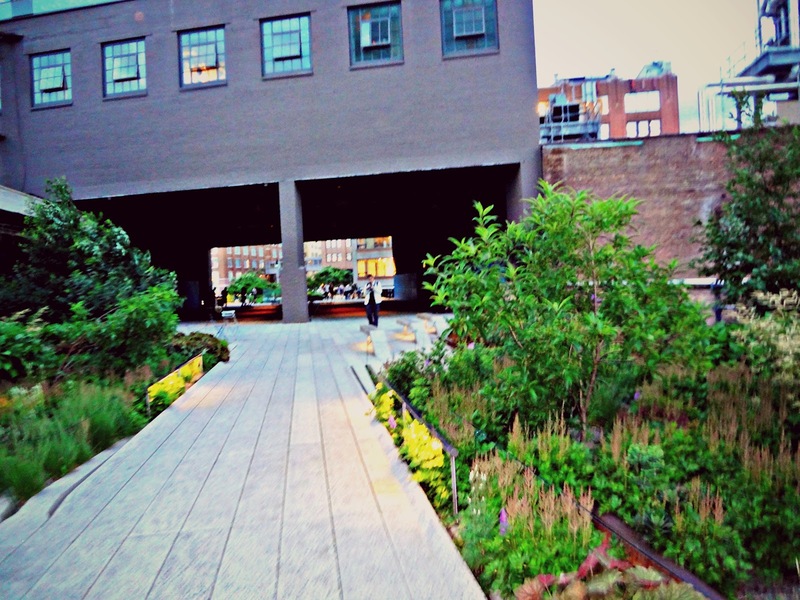 I love this post and can't wait to come to NYC and go foodie exploring with you and Susan! Great post Kayle! I had a wonderful time and I can't wait to meet up again, I'll think of another fun foodie destination for us to go to. So glad you girls got to meet! No offense to my hubby but that's my kind of date LOL! Someone "gets" me! Thanks for sharing Kayle!! How wonderful you got to have a food blogger date! I want to visit that market next time I go to NY. Hopefully it will be with fellow bloggers. Looks like a wonderful trip to the market, Kayle. That huge tub of Nutella is simply irresistible, isn´t it! 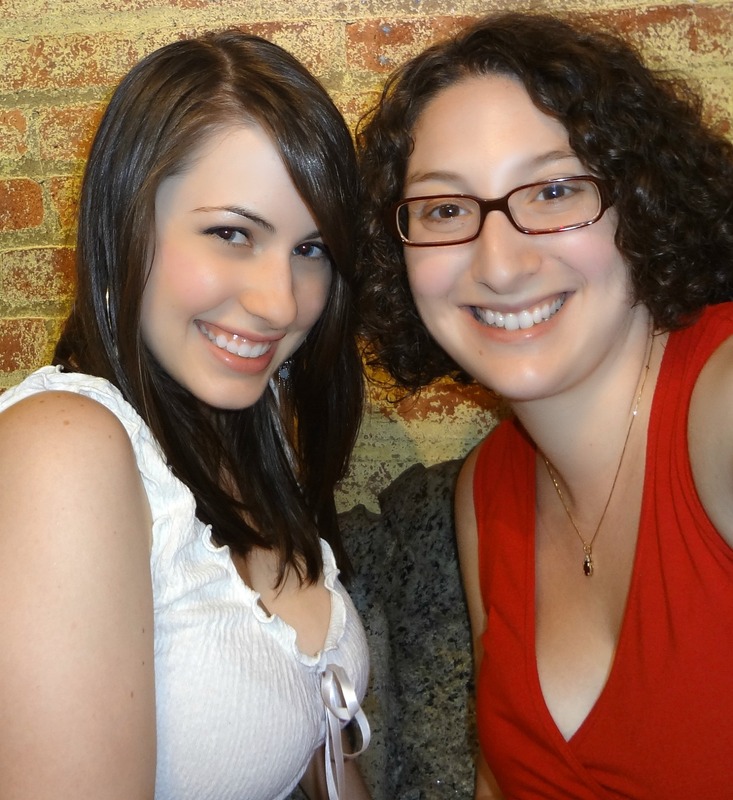 Awe...look at you two adorable foodie bloggers! What a great blogger date! I've never been to this market but it reminds me of the gourmet market in Grand Central Station. I "might" be able to walk through here and not buy anything but there would be little drool puddles all over the place. Glad you had a great time!!! Oh this looks like such a fabulous day! That market is to die for! WOW! I would equate this to the Ferry Building in San Francisco where I had much less self control than you did. I bought 5 different pastries for breakfast (don't worry, I shared) and then bought more goodies for later. If I ever make it to NY this will be on my list for sure. And how fun to do it with another foodie! I barely even scratched the surface!! But I'd better get to go with you if/when you visit NY! Aw that looks like so much fun!!! Jealous of your little date :) And you have wayyy more self-control than me.... I couldn't pass up those crepes, I had a Nutella Banana and it was SO good. Omygosh. Looks like a fun day for you two!! Oooh sounds like you had so much fun together! !I would love to be able yo have a blogget date myself sometime :)Chelsea market is on my things to see in NY now!Perfect place for food lovers! What a perfect food blogger date! I am envious of all the fabulous places you visited. I'm so jealous...in a good way! I want to come hang out! I laugh that my husband gets tired of having to wait for me to take photos before he can eat. =] Most of my friends barely cook, so they kind of think I'm crazy for loving it! I know, what was I thinkin?! And aw-thank you so much CJ! I feel like most of the time the only thing I'm posting about on Facebook is food ;) And when my bf comes home from work, all I'm talking about is food. So I think you're right - food bloggers are boring to most people except other foodies ;) And wow - that is one big jar of Nutella! Looks like a wonderful trip to the market, Kayle. I want to visit that market next time.